Services will be held this morning for Clarence Selmer “Casey” Anderson. The widely loved music industry figure died on Monday, Nov. 26 at age 92. 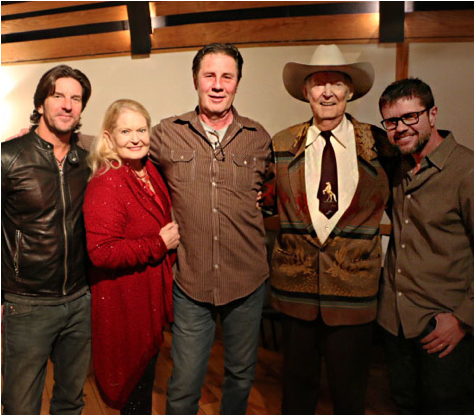 Casey Anderson was one of the founders of the Nashville Songwriters Association International (NSAI). He was the father of country star Lynn Anderson (1947-2015) and the husband of the late singer-songwriter Liz Anderson (1930-2011). Casey is credited as the cowriter on several of his wife’s compositions, including 1967’s “The Fugitive,” which became Merle Haggard’s first No. 1 hit. He and Liz co-hosted the TNN cable-TV travel series Side By Side in the 1980s. Casey Anderson was born in North Dakota in 1926. He was a Navy mechanic in 1945-47. Just days prior to his death, he rode in the Nashville Veteran’s Day Parade. He married Liz in 1946, and they had daughter Lynn in 1947. The family moved to California in 1951 in order for Liz to pursue her songwriting career. Casey sold cars and became a member of the world-champion equestrian drill team The Sacramento County Sheriff’s Mounted Posse in 1957-66. He and Liz co-wrote “The Ballad of the Pony Express” to commemorate the 100th anniversary of the Pony Express U.S. mail service. Casey also rode in its 1960 reenactment. Liz Anderson’s songwriting began to pay off in the 1960s. Her early successes included “Be Quiet Mind” (Del Reeves, 1961), “Guess My Eyes Were Bigger Than My Heart” (Conway Twitty, 1966), “Strangers” (Merle Haggard, 1965), “Just Between the Two of Us” (Bonnie Owens & Merle Haggard, 1964), “I Cried All the Way to the Bank” (Norma Jean, 1965) and “Pick of the Week” (Roy Drusky, 1964). Chet Atkins signed her to RCA, and the Andersons moved to Nashville in 1966. Daughter Lynn subsequently earned a contract with Chart Records. Liz wrote several of her daughter’s early hits, including “Ride Ride Ride,” “If I Kiss You,” “Keeping Up Appearances,” “Mother May I,” “Big Girls Don’t Cry” and “Flattery Will Get You Everywhere” in 1966-69. 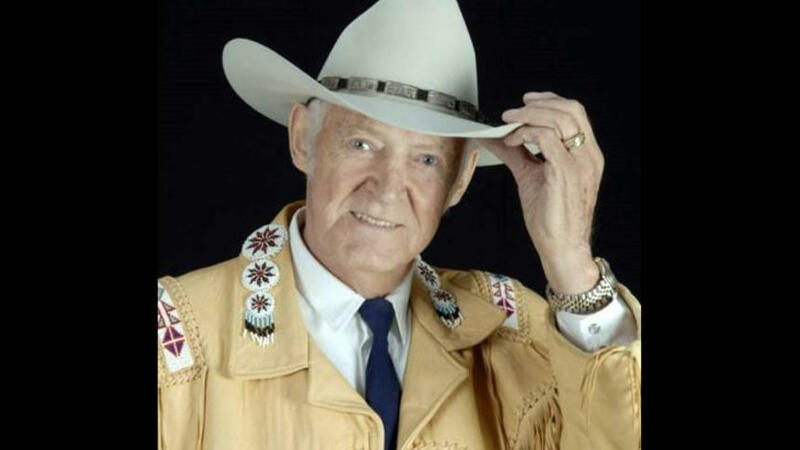 In 1967, Casey and Liz Anderson were among the co-founders of the NSAI. In later years, Casey and Liz Anderson co-hosted the 1988 TNN series, which was geared toward retirees. They also collaborated on a number of songs celebrating their shared western heritage. Some of these were collected on the 2012 CD The Cowgirl Way. Casey Anderson is survived by granddaughters Lisa Sutton and Melissa “Bunny” Hempel and grandson Gray Stream, as well as a grandson and six great-grandchildren. The celebration of his life was on Friday, Nov. 30 in Woodland’s Dignity Hall off Thompson Lane. Pictured: NSAI board member Brett James, Lynn Anderson, Exec. Director Bart Herbison, Casey Anderson, then-NSAI President Lee Miller at the Stephen Foster Award presentation in 2015.